A few years ago, I read a blog written by two women who were close friends. They would plan out their year, month by month, by picking a challenge to complete each month. They would start a new running habit, pick a home improvement challenge, plant a garden, etc. These were mostly fun projects that involved a lot of hands on work plus the potential to learn something new. After reading through a lot of the blog archives, I was inspired to take on a few challenges of my own. I don’t remember all of the challenges I attempted but I’ve been feeling inspired lately to take on a new challenge. 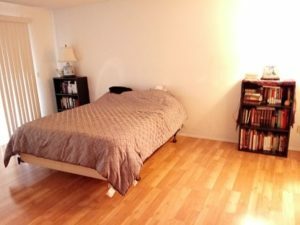 I want to focus on minimalism and moving forward on making my bedroom a safe and comforting retreat. So for the month of December, I’m going to attempt to make at least one improvement in my room each and every day (except Sabbaths). 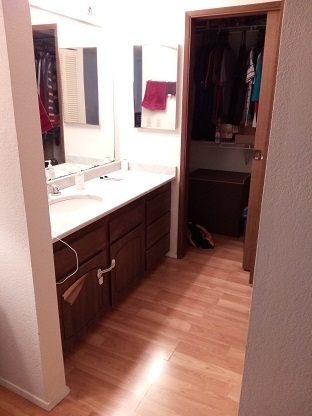 This includes the actual bedroom, the master bathroom, and my closet. At first, I thought this is too small of a challenge for an entire month. But it’s a holiday month and my two girls are off school for the last two weeks of December. So hopefully bite-sized pieces each day will make for a big difference at the end of the month. I started making a list of things that need to be done and realized this is actually a pretty big project, if I try to do things in their entirety. For example, I have several books that need to be returned to their owners. This means I need to track down the owners’ addresses, package the books, and take them to the post office. While this isn’t a huge task by itself, I have quite a few projects that involve multiple steps. I need to return several orders to Nordstrom. I need to ship some clothes to a friend. I need to sell some books online. 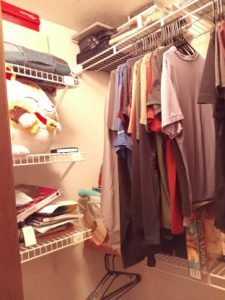 I need to declutter my hanging clothes and I’ll have to decide if any of it can be sold or if I’m going to post things on my local BuyNothing group. I have a huge pile of paperwork that needs to be sorted, scanned, and then recycled. Hopefully this will force me to complete a couple of very small tasks that never seem to get done. There’s some damage to the front of our bathroom cabinet but it’s an easy fix involving some glue. 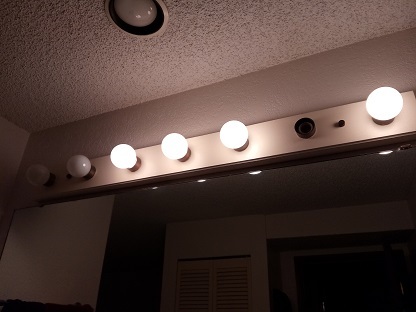 Then we have several burnt out light bulbs that need to be replaced. Easy fix but never gets done! So this project will keep me quite busy! And of course, I hope to blog about my progress. Hopefully my room will feel much less cluttered and more relaxing by the time I’m done. Once my room is complete, my to-do list will certainly be much shorter! What do you do when you suddenly realize that you are the catalyst when it comes to your children? My husband and I were talking over our daughters’ behavior and belief systems this morning. They treat each other nasty and then both lash out at me when I try to address their behavior. Jeff pointed out that they can speak calmly to each other at night right before bed. I suddenly realized – that’s when I’m not longer in the picture (I go to bed before they do), when I am no longer physically present. How are they when I’m gone on Sunday mornings? Fine. How are they when I’m gone on Tuesday evenings? Fine. How are they when they are getting ready for bed and I’m already asleep? Fine. So if I’m not around, they will either ignore each other or interact fairly good natured, but still harass each other some. When I am around, they are nasty to each other. Then when I try to interact with one or both, they are disrespectful to me or are so completely engrossed in tearing each other apart that it’s as if I’m not even there. I followed this thought process. If I am the cause (Jeff thinks I need to reword this to something more positive) of their negative attitudes, behavior, and disrespectful relationships, no wonder my anxiety skyrockets. No wonder my anxiety climbs all afternoon before I pick them up from school. No wonder I can’t relax when they are at home. My body realized this long before my mind did. Now what do I do with this information? I’m not sure. I seem to be going through an organizing and decluttering frenzy. I’m not exactly certain why, though I suspect it has something to do with seeking to control one of the only areas in my life where I feel I have control. In much of our house, I cannot control things being thrown, banged, or just generally being treated poorly. My kids, probably due to their environment during their formative years, have little respect for belongings, both mine and theirs. In an attempt to establish some boundaries, we have mostly made the master bedroom off limits. The girls cannot play their music on speaker phone in my room. They are not allowed to rummage through my belongings. They are not allowed to destroy anything. These things have been issues in the past. Now, my room is a safe and quiet place. 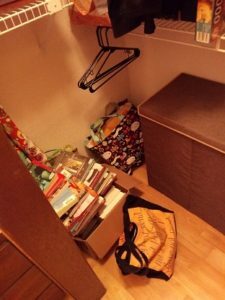 In an attempt to make it an emotional retreat, I have been decluttering like crazy. In some ways, I am drawn to a minimalist lifestyle. I know that I will never be considered a true minimalist as I love books. We have two bookshelves full of books in our bedroom and more books piled in the closet. However, I have slowly been culling our collection, eliminating books that I will never read or that I do not truly enjoy. I am leaving books that I hope to read someday and books that bring me joy (Marie Kondo style!). I’m also spending a lot of time cleaning out my closet. Even though I’ve gone through my clothes several times, I still have clothes that don’t fit or that I’ve never worn. 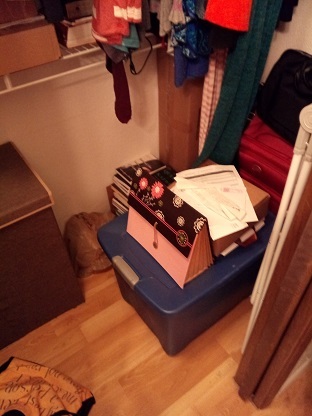 I’ll be working on clothes after I conquer the massive pile of paper clutter that piled up in our closet. Don’t have time to sort through the mail? Toss it in the closet! Need to scan and save that document on the computer? Toss it in the closet! Working on the FlyLady system has been enlightening in several ways. I no longer have multiple paper hotspots around my house. Just my closet! It’s slow going, but hopefully each step toward organization will be a permanent improvement. I really want to move next summer. 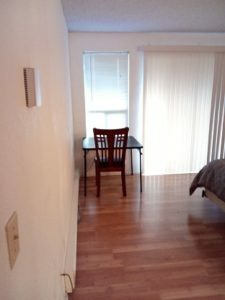 We’re renting a two bedroom condo and I would love to move into a three bedroom house (probably also a rental). But I don’t want to move a ton of stuff we don’t need. I can’t believe I shipped 15 boxes to Washington and packed my car to move up here. I own an entire condo full of stuff now. However did that happen? The least I can do is weed out a bunch of stuff we no longer need. Our local BuyNothing Facebook group has been amazing for taking tons of my stuff, proving that one woman’s junk is another woman’s treasure. I want to start writing on my blog again. But when I pull up the page to start writing, I freeze. This blog was started just so that I could reach out to and make friends with other Christian women. Then I adopted a couple years ago, so I thought I would write about older child adoption and parenting. Now I’m not sure where I should go with it. I’m not driven by reader statistics, though it’s nice to know people visit once and then return. Most of my day to day updates are on Facebook. But I miss writing. My challenge is to treat writing as self-care, not to turn it into a chore or a to-do list item. During my last therapy session, we talked a lot about self-care, about what qualifies as self-care and what is actually an obligation. My blog can turn into an obligation but it doesn’t have to be. So to combat the writers block, I’m putting this out there just to say hi to whoever comes across it. Leave me a comment and say hi, maybe tell me something interesting about your day. Hopefully writing this one post will get the creative juices flowing again. It’s a very dry well but there’s hope. I’ve been thinking a lot about the goals I want to achieve in August. I’m almost afraid to write any. My girls go back to school on August 31st so the month of August is almost entirely summer vacation. We are slowly developing some better boundaries so that I’m able to get a few things done even though they are home all day. We do spend a lot of time together but mama still has work to do even if they aren’t in school! I think my number one priority is exercise. My husband and I have been walking together every single day. The girls won’t come. They are invited but would rather stay home so we are finally getting daily alone time. It’s been a massive blessing this summer and is way more than I even dreamed of. Prior to this, the girls wouldn’t leave us alone in the same room. But if they have to choose between leaving us unsupervised and exercise, they’ll pick leaving us unsupervised. It’s wonderful! After we get paid, I want to register for my first WA 5k. I should have registered several months ago when I first picked out the race but I was afraid to commit. What if things got explosive again in our home? What if something happened that sapped all of my emotional energy and left me without motivation to run? What if I can’t train to run the entire distance before September arrives? Well, I decided to register anyway. FlyLady keeps reminding me that perfectionism is detrimental in all aspects of life.. I don’t have to run the entire 5k. I don’t have to break my previous 5k record. I just have to show up and try. Just try. So I think that continuing exercise, both for my health and to embrace the alone time with my husband, is my only real August goal. 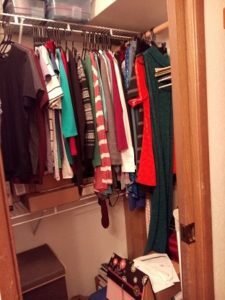 Other than that, I will keep working toward decluttering my closet, getting organized, and finding additional meals that my entire family will eat. But other than the exercise with its tangible goal of training for the 5k, I’m just going to do whatever I can. I am just going to show up and try. I think my brain is processing some stuff. I’m not exactly sure why it’s happening now. Either I’m so tired that I can’t defend myself against the nightmares, or the things we’re discussing in therapy are triggering them, or maybe it’s “calm” enough in our house these days that my defenses are lowered. Either way, I’ve woken up three nights in the past week with my heart rate accelerated, my breathing out of control, and sweating profusely. The nightmares are horrid. I’ve been having nightmares about rages. It’s been awhile since we’ve had one. I think six weeks or so. But we’ve gone through so many rage experiences in the past two years that my body definitely remembers exactly what they feel like. In my dreams, I can’t tell that I’m dreaming. I dream that I’m sleeping, that I wake up, and that my daughter starts screaming at me. For hours. In one of my dreams, I lashed out at her because I couldn’t take it anymore. In all of my other dreams, I’ve just stood there and taken the abuse. Eventually I wake up for real and realize that everything was a nightmare, not my reality. But it feels so real because sometimes it is my reality. This week I’ll tell my therapist about it. Hopefully she’ll have some suggestions on how I can combat the nightmares. If I can realize it’s just a dream while still asleep, maybe there’s something I can do. I’ve been practicing breathing exercises right before bed but that’s obviously not helping alleviate the nightmares. I’m not sure what to do but I feel more tired than ever. Not even my sleep is restful. 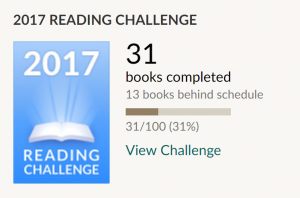 13 books behind schedule! 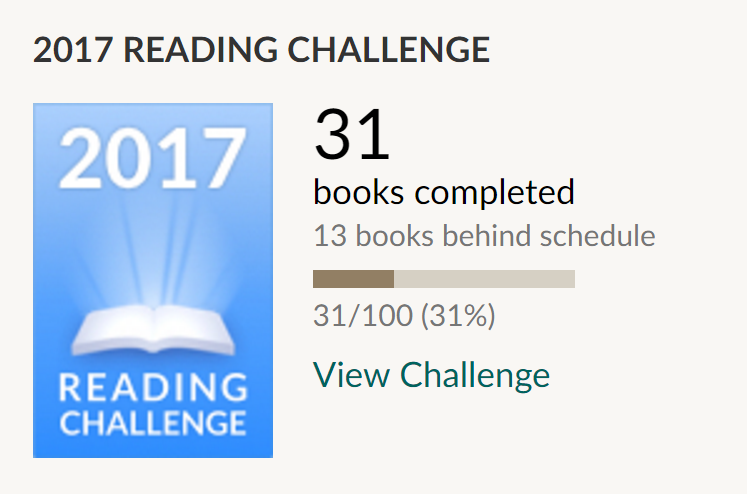 I’m not sure that I can, nor do I want to try to, catch up with my reading goal. However, I would like to reduce some of my time wasters *ahem, Panda Pop and mindless Facebook browsing* in order to add in some meaningful reading. This week I am tackling these three books. 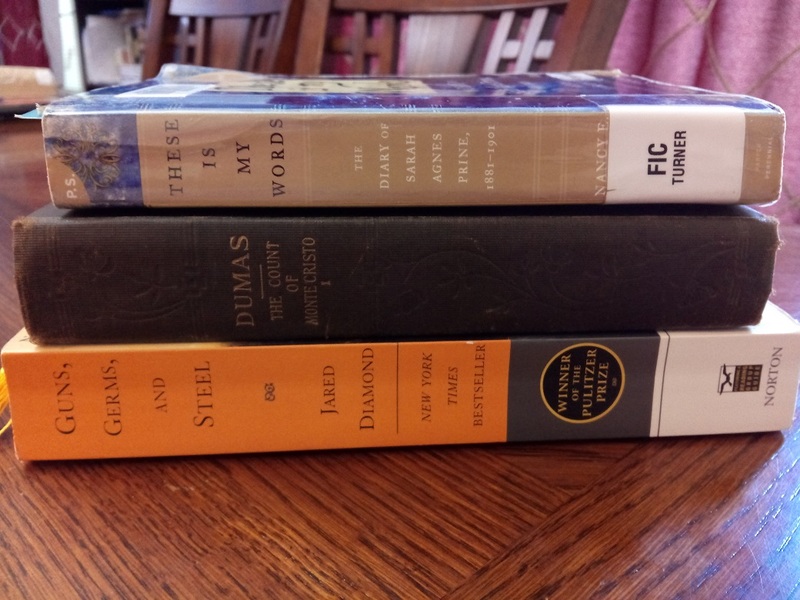 These Is My Words – A random selection from my enormous to-read list. I’m about 30 pages in and overwhelmed at the sheer number of tragedies this girl endured. I can’t tell if this will be a motivational read or a depressing one. I would like to finish within a week or two. The Count of Monte Cristo – I have a reading buddy with whom I am going to try to complete the novel. I’m trying to nudge my best friend into joining me as well! This will be a slow but steady read. We set a pace of three chapters a week and we’ll see if it’s the right pace and adjust as necessary. Guns, Germs, and Steel – This one has been on my shelf for at least a year. I started reading it, completed the first third, and stalled due to life. It’s actually a really interesting book so I’ve committed myself to reading 3-5 pages a day. That way I can continue to make progress and eventually finish it. There are so many books out there and not enough time. Must read more! Lately it feels like I’m juggling multiple balls and can’t keep them all in the air. Life at home has actually been fairly calm. We’ve only had a couple of meltdowns in the last few weeks and it’s been a month since our last rage. Praise the Lord!! Despite the calm, I’m struggling. When life calms down enough to give me breathing room, I start thinking. Processing. Daring to dream just a little. And that makes me realize how far from normal we really are. Awhile ago I posted that my therapist has me trying to identify my core values. Honestly, I’m stuck at two. My second core value is that life can always get better if I work hard. I’ve always been a planner and a dreamer. I worked hard in high school and earned a scholarship to college. (How I lost said scholarship after my freshman year is a long story). I lost a ton of weight in my 20’s. I budgeted, scrimped, saved, and paid off a ton of debt that my husband and I accrued both before marriage and after marriage. I’ve studied Latin, Spanish, Japanese, and Chinese. I read a ton. I truly believe that if I work hard enough, I can improve my mind, my health, my spiritual life, my marriage. Unfortunately, I cannot force that improvement on my children. I cannot force them to stop raging. I cannot force them to stop melting down. I cannot stop the permanent trauma they’ve so generously shared with me. I cannot force growth so that they no longer rely on me to keep their emotions stable. This family life and my core belief that I can always make improvements are at odds with each other. I’m trying to determine if it’s possible for me to regain control of the emotional state of our family. When my children melt down, it changes everything. The other day, one of my daughters had an hour long meltdown. I sat near her, offered comfort (she rejected it for awhile), and eventually was able to pull her out of it. But addressing that meltdown was at the expense of my other daughter because I disappeared downstairs to deal with daughter #1. When the meltdown started, I was engaged with daughter #2. So daughter #2 was left behind so that I could deal with daughter #1. And after that hour long meltdown, I no longer had the energy to study Chinese or exercise or do anything that required much of an effort. My energy was completely sapped trying to connect with daughter #1 and help her deal with the huge emotions that caused the meltdown. How do I learn a language while trying to navigate the emotional minefield in our home? How do I find the energy to exercise on a regular basis? It’s a good sign that I’m once again finding the motivation to do these things. But I cannot control my environment enough to exercise, keep up with my Chinese studies, complete the FlyLady assignments, finish the taxes, declutter, etc. There’s not enough of me to go around. I was hoping to write a more positive post today but this is what’s been on my mind lately. The challenge – how do I help my girls heal enough that their daily struggles stop sapping every bit of my energy and motivation? I rediscovered this passion last summer but between then and now, completely forgot. This weekend I’m at my church’s women’s retreat. I’m grateful to be here even though I’m struggling with so many people in close quarters. The lodge is out of town and close to hiking. 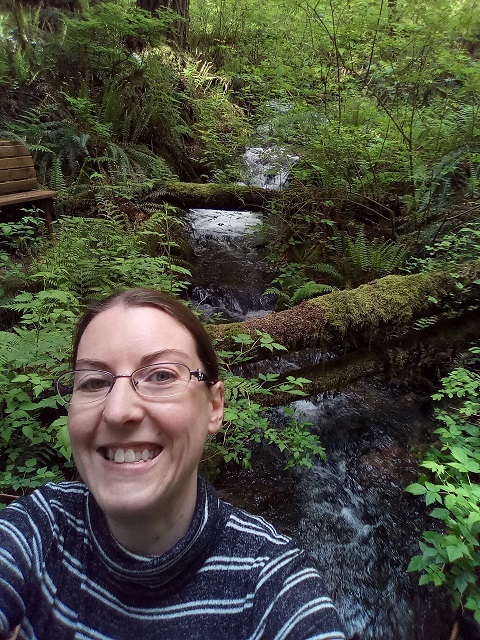 There is a very short trail attached to the property and the Mount Si trail head is within walking distance. 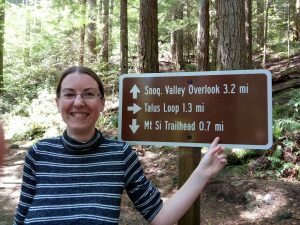 I invited myself along with a group of ladies who were headed to Mount Si. 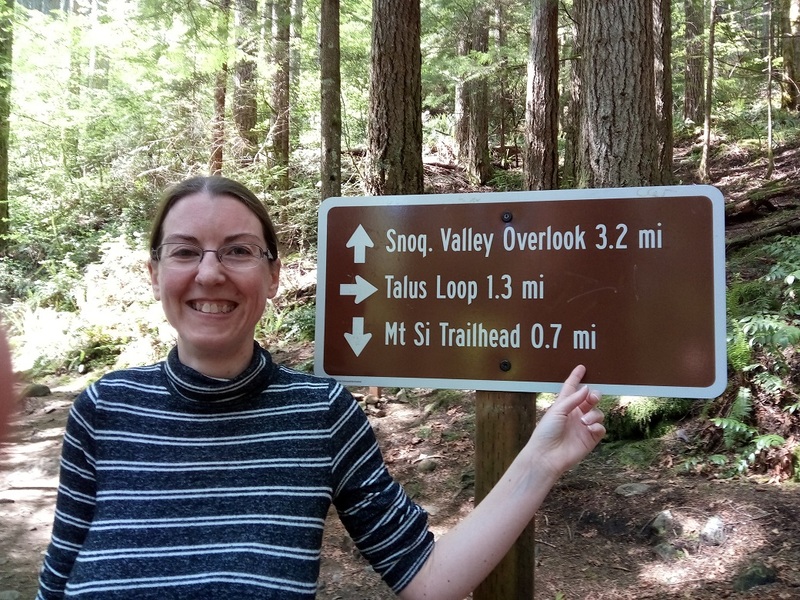 We only had time to hike to the first mileage sign but it was a beautiful hike. I fully enjoyed myself. Sunday mornings, I spend three hours out by myself. I might have to take myself hiking instead of sitting in a coffee shop! I’ve got a lot going on in my mind these days so I haven’t been able to put together a coherent blog post. So I thought I would just post a few thoughts. Mother’s Day – calm. I have no idea what happened. Maybe because neither my husband or I reminded the girls it was Mother’s Day. They knew; they both wished me a Happy Mother’s day in the morning. But other than that, we ignored it. I got my favorite meal for dinner because it’s routine to have sushi on Sunday nights. I sat through a Disney Channel Original movie and think that I deserve Mom of the Year for that one. We got through the day with no meltdowns, no rages… fairly calm. Therapy – My therapist has me working on identifying my core beliefs. I’ve been thinking about it for almost two weeks now and have only come up with two. The first one I identified was a negative view of myself, something I’ve believed since I was little. I came up with the second core belief yesterday. Thankfully, it’s more positive. I might post about them eventually. Maybe. It’s a rather raw topic for me and I’m processing some things in therapy. Chinese – I have no idea why, but I’ve been motivated lately to return to my Chinese studies. I get frustrated that I can’t understand everything my younger daughter is trying to convey. She doesn’t converse with me much beyond surface level life. But occasionally she’ll try to tell me a story about school. I can understand enough to get the gist but I lose the details. I want to understand her. She’ll probably learn English faster than I learn Chinese, though my Chinese levels far exceed her English levels at this moment. She’s immersed, though, and I am not. I’ve studied almost every day this month, mostly dabbling in flashcards. Tonight I listened to almost half an hour of Chinese podcasts. I’m excited! That’s most of what’s been on my mind lately. Trying to meditate in the evenings and failing most days. Finally added a daily Bible reading to my routine, mostly while I’m waiting in the pick up line after school. FlyLady efforts have stalled on forward progress but I’m maintaining the gains I’ve made already. Life goes on. I am very slowly learning to live in the present. Very slowly.